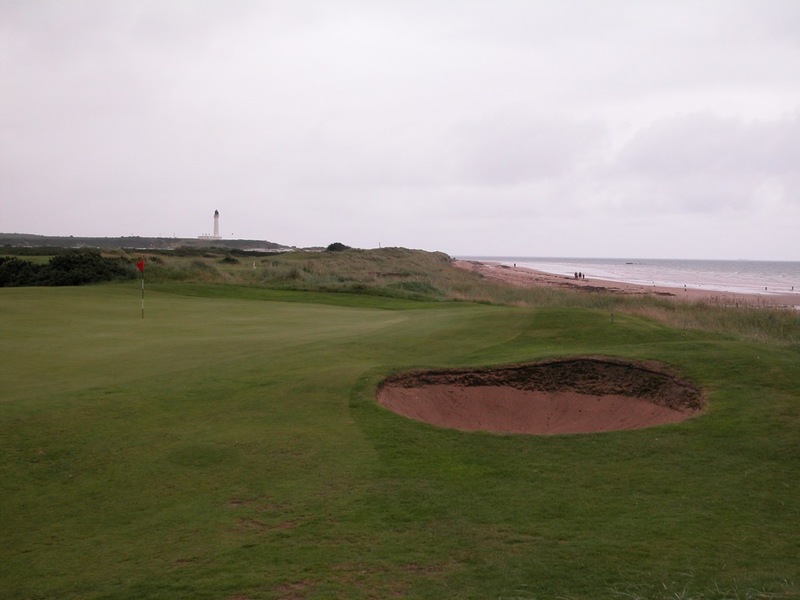 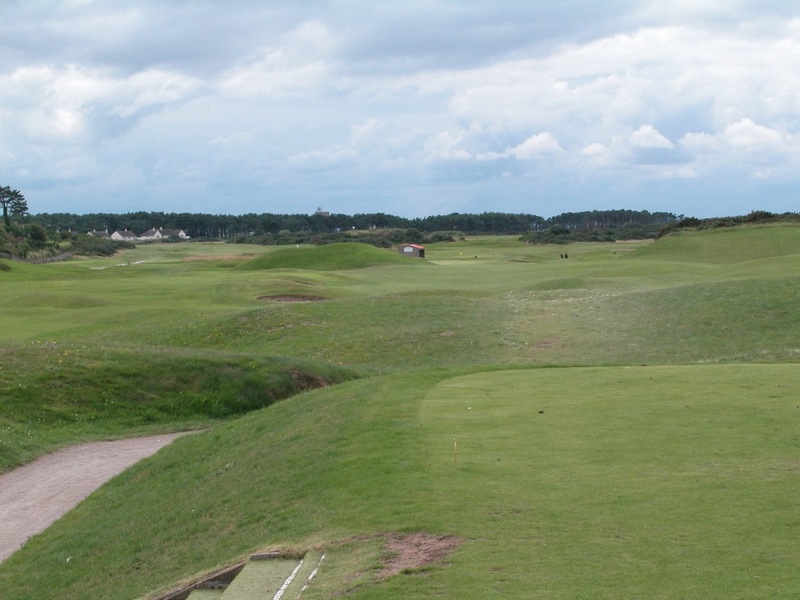 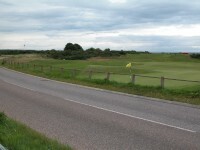 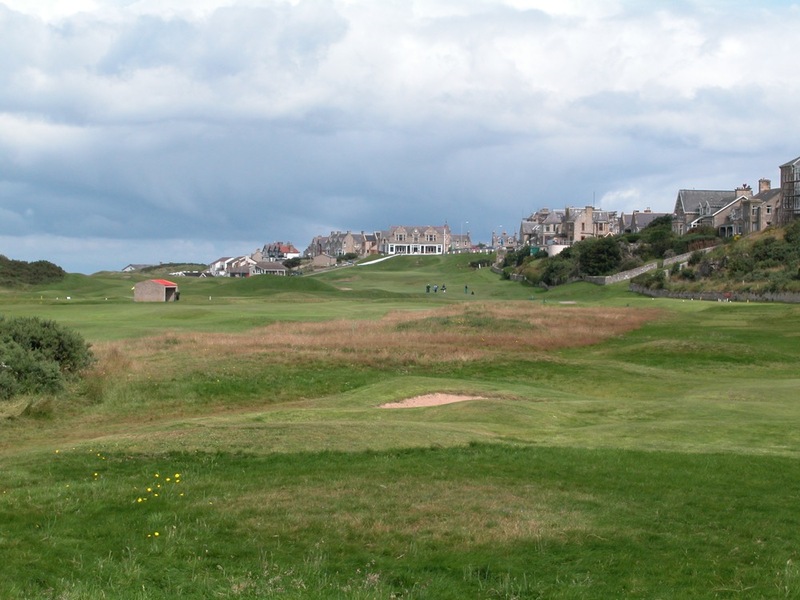 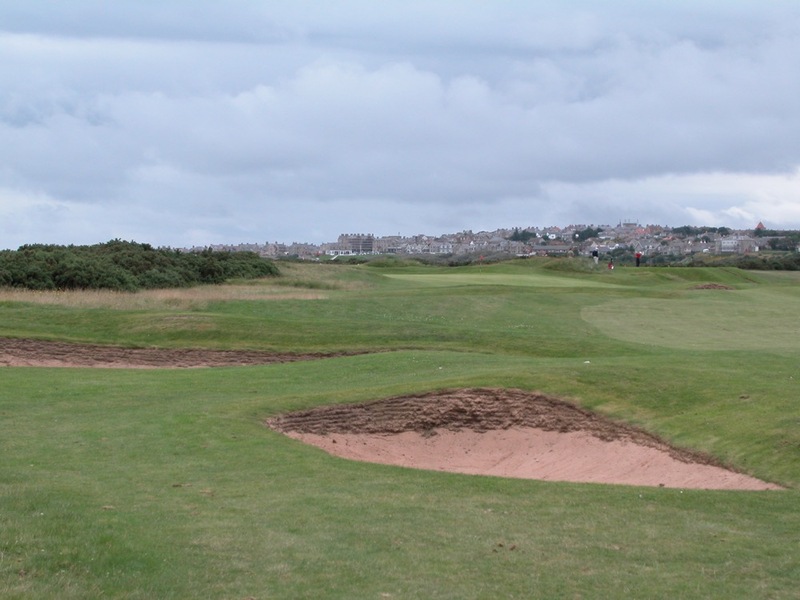 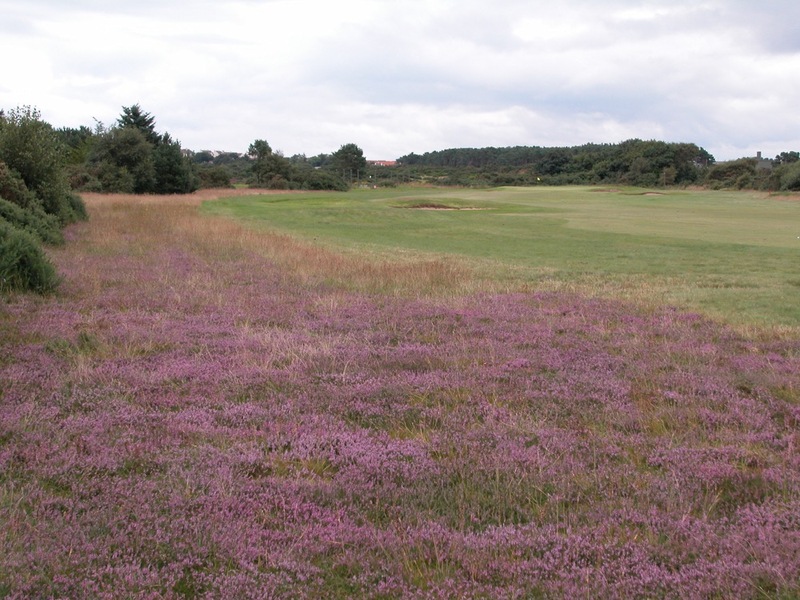 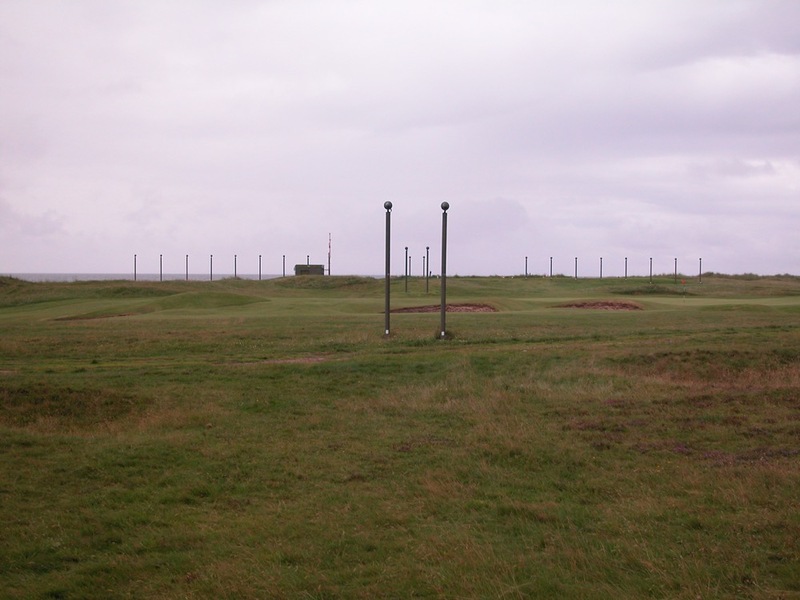 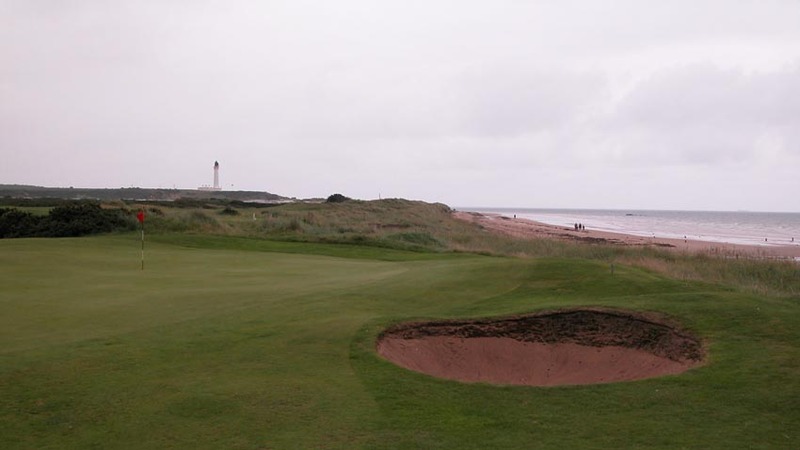 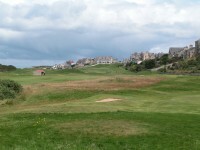 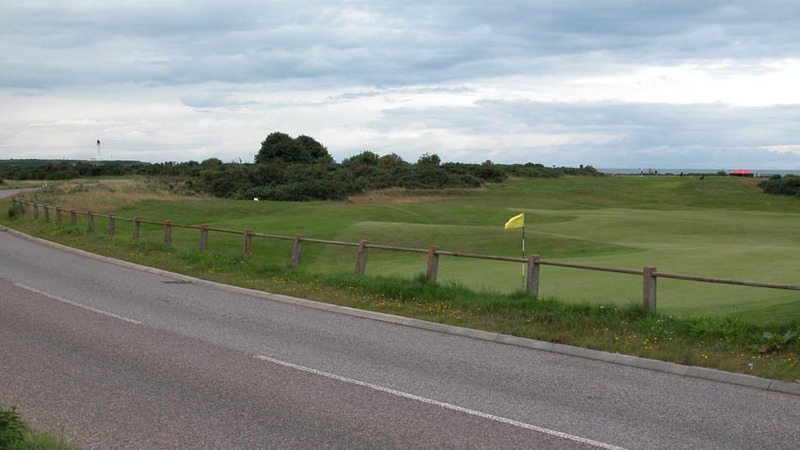 Visitors to Moray Golf Club in Lossiemouth, Scotland must “Beware of Sudden Aircraft Noise”—as so say the signs at Moray, who’s two championship links lie adjacent to the RAF base at Lossiemouth. 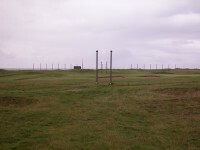 Here, British bombers take off and land on their daily practice runs. 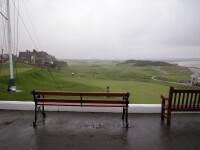 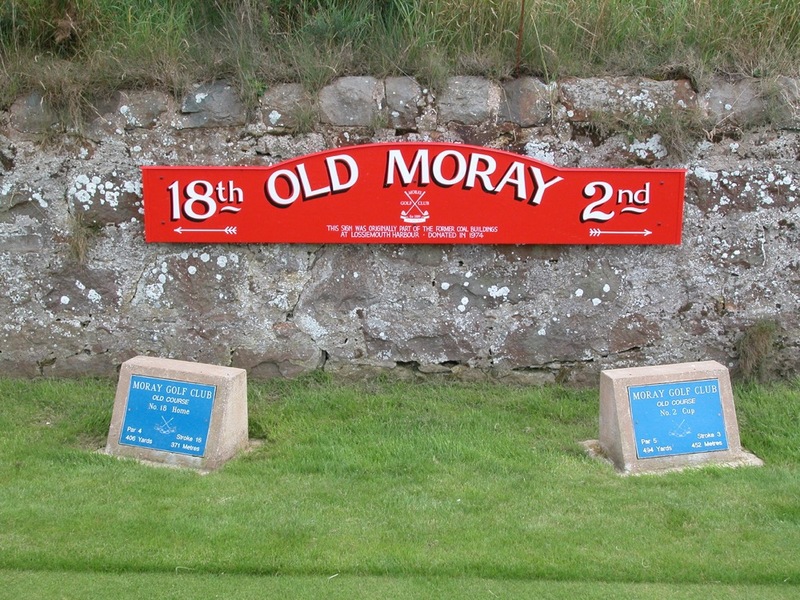 Indeed, the unexpected rush of noise from these majestic jets can make golf at Moray Golf Club a bit startling, but for both golf and aircraft enthusiasts alike, they hardly detract from a visit to this historic club. 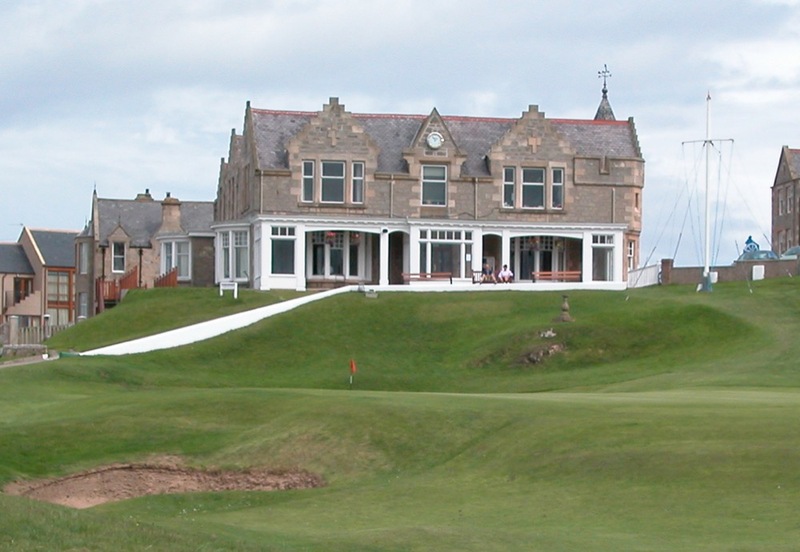 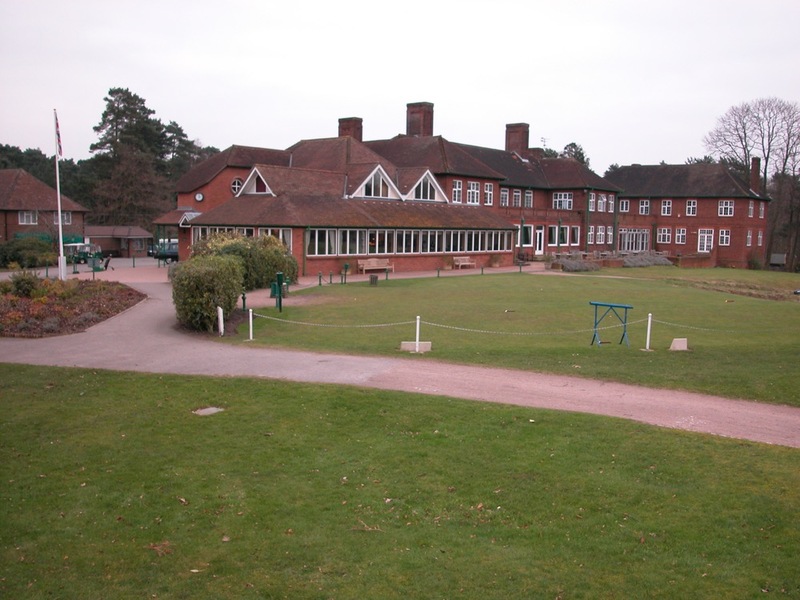 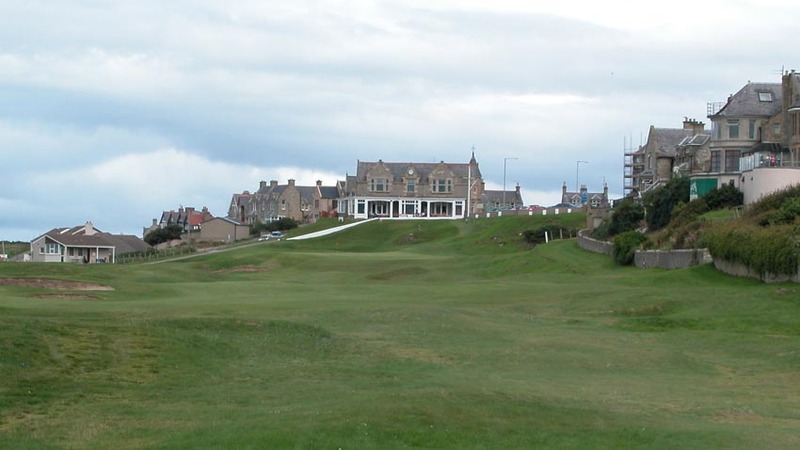 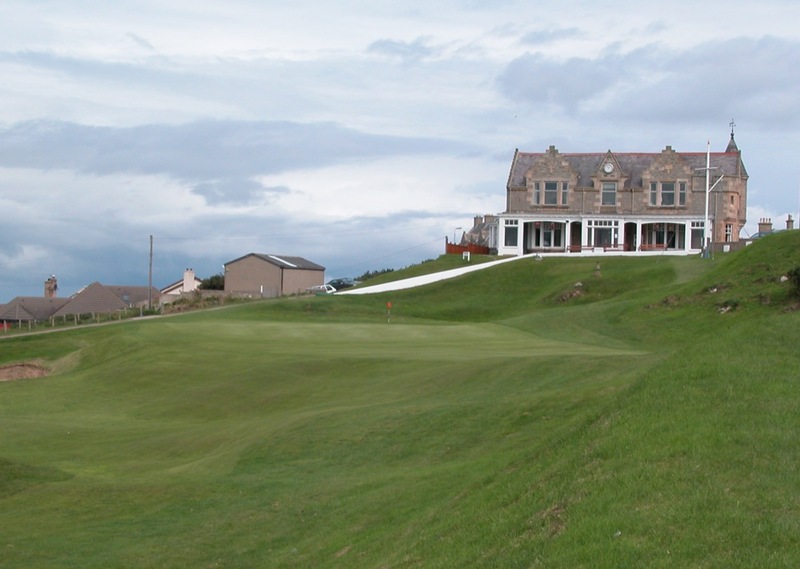 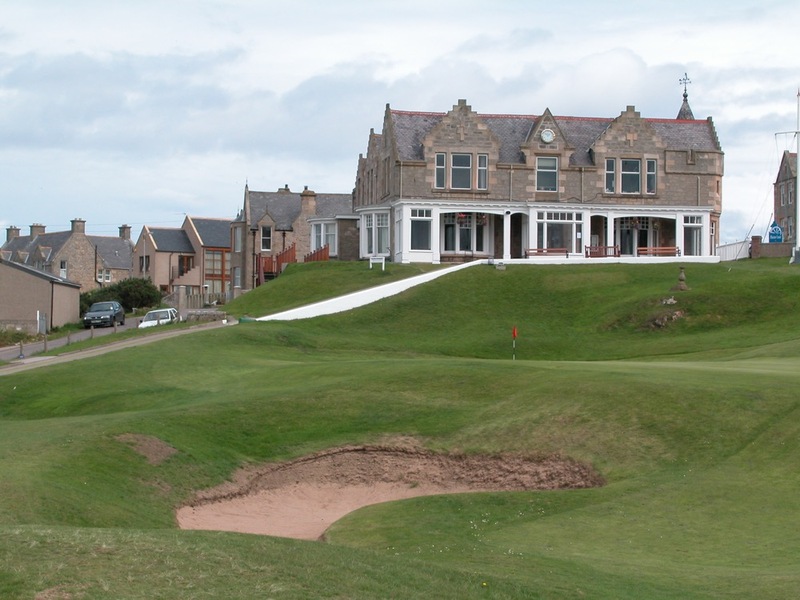 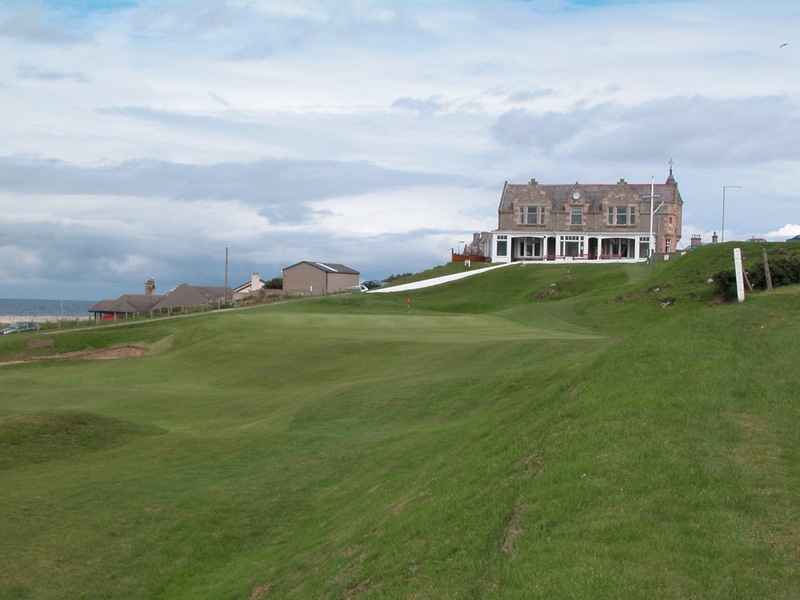 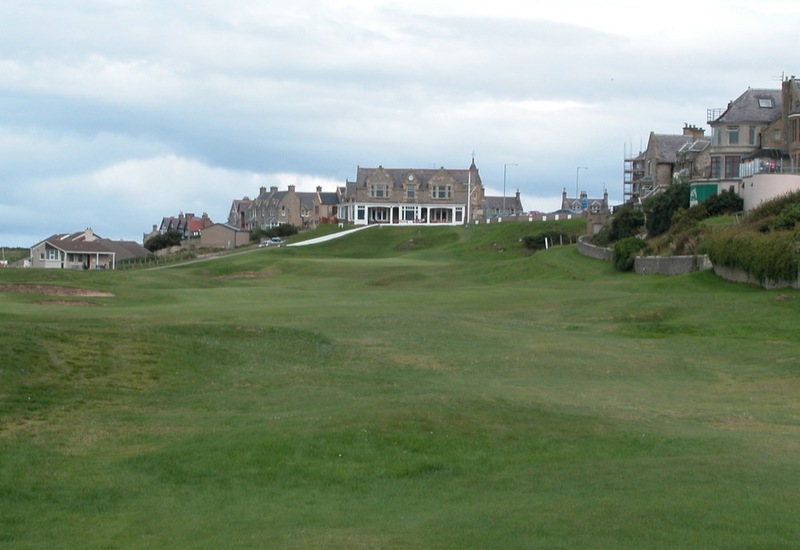 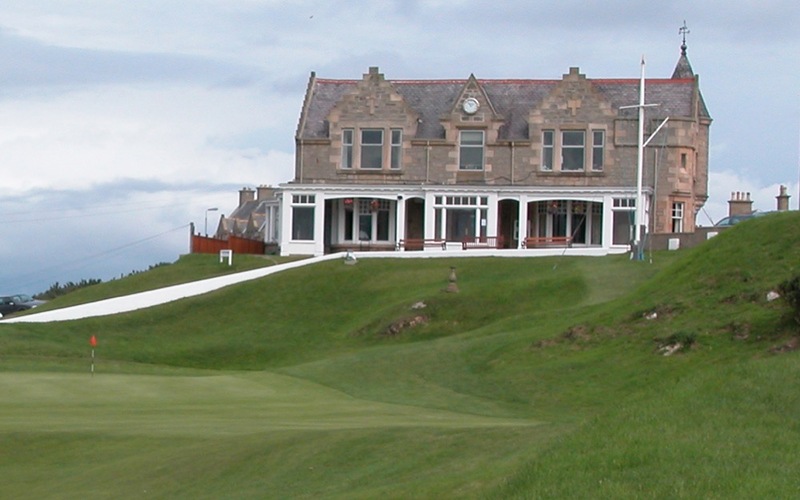 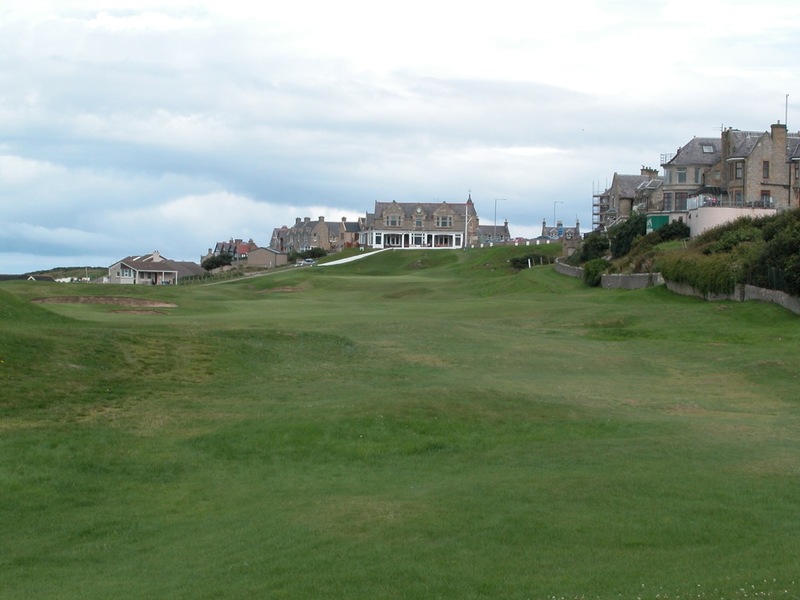 From the classic stone clubhouse, to the relatively flat but challenging landscape, to the finish right in the middle of town, Moray Golf Club’s Old Course is very reminiscent of another Old Course in Scotland, down in St. Andrews. 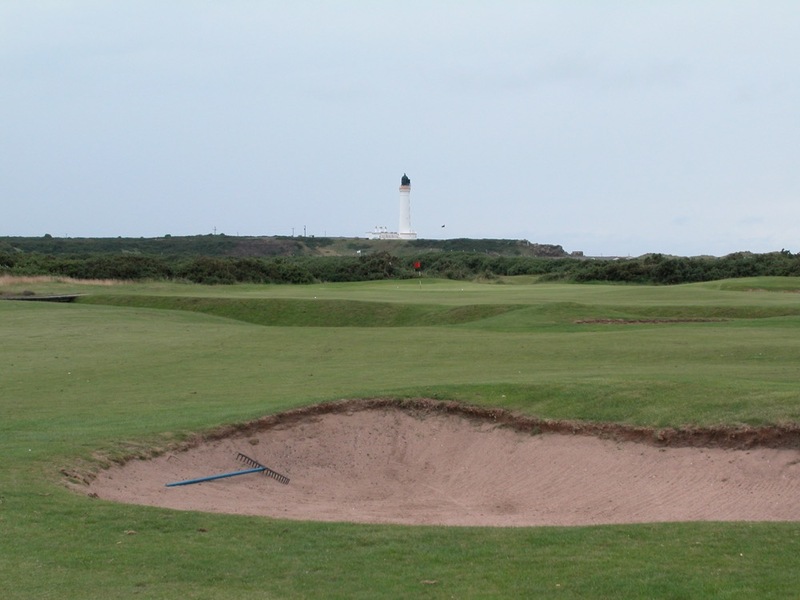 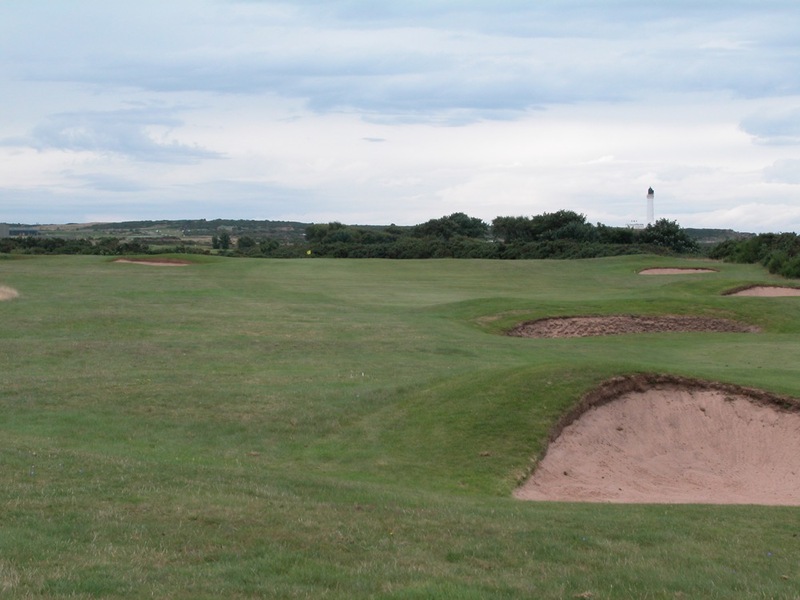 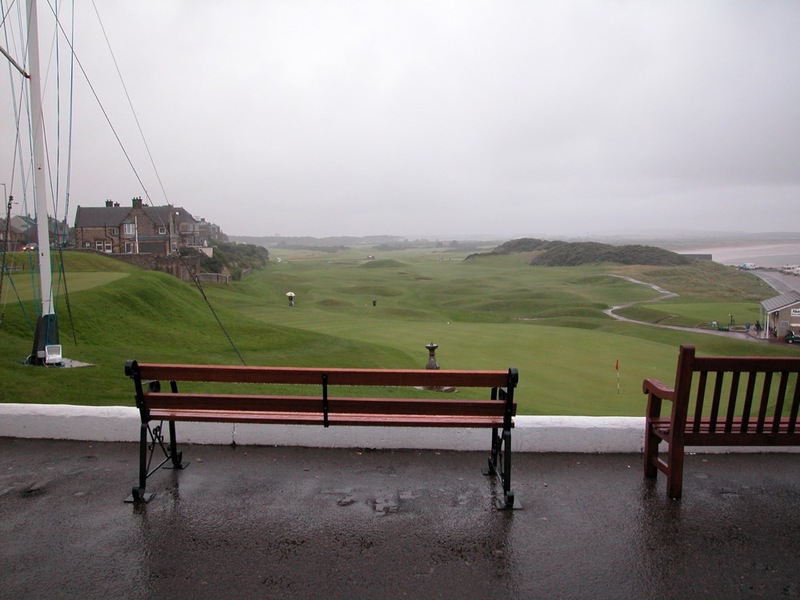 In fact, when you get to the far end of Moray Golf Club’s Old Course, and look back towards the clubhouse and the spires of Lossiemouth town, you won’t believe the similarity to the “Home of Golf.” Comparisons aside, the Moray Golf Club is well-worth a visit. 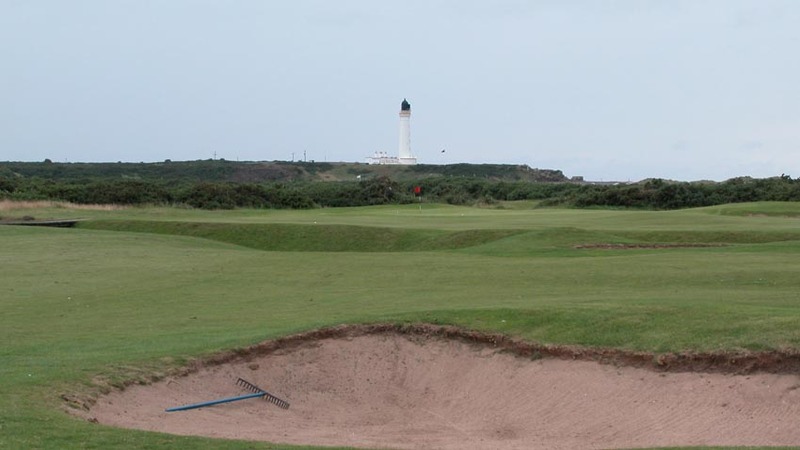 The difficult Moray Old Course is one of Scotland’s most challenging, and it also offers a taste of Turnberry, as it works its way out to a beautiful lighthouse before heading back for town. 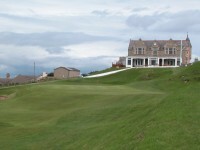 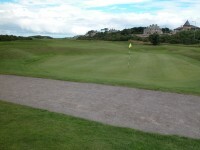 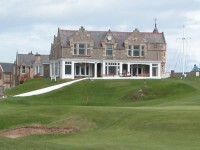 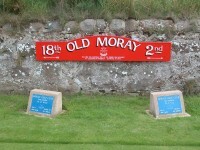 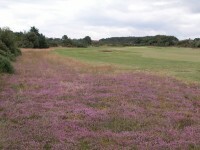 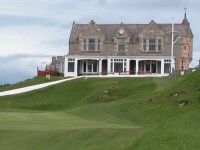 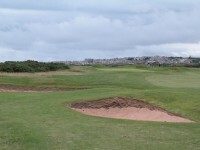 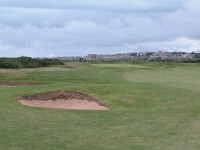 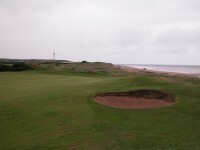 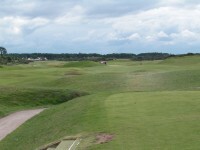 The second 18, the New Course at Moray Golf Club, runs inside the perimeter of the Old, and is also quite good. 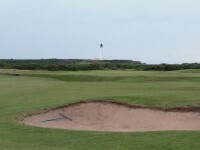 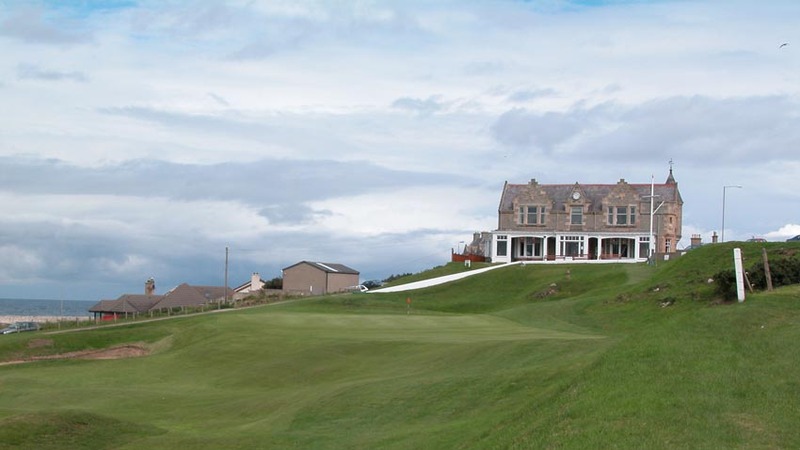 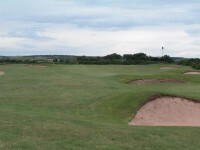 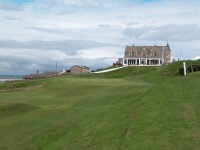 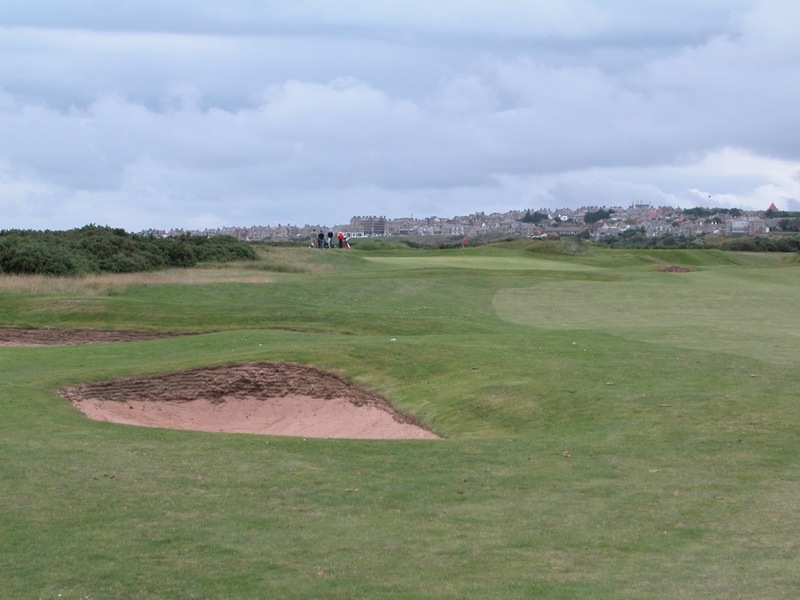 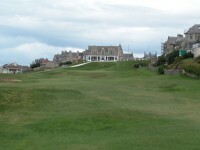 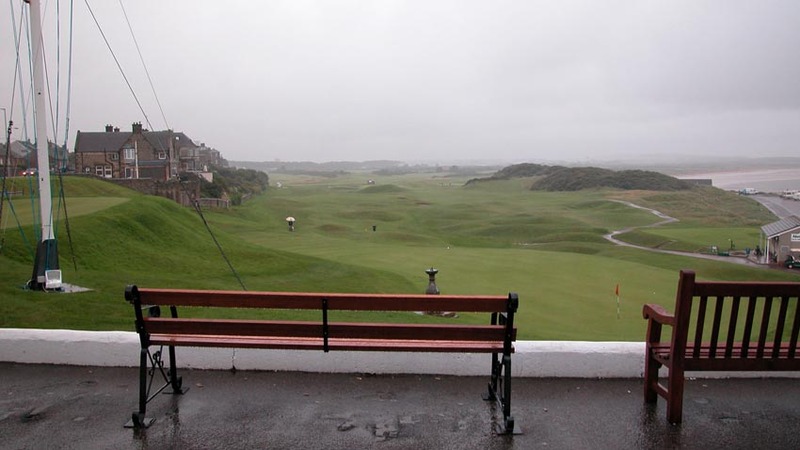 For a nominal fee, Moray Golf Club’s New Course can be played as well on a day ticket, making for a wonderful day of golf that again is not dissimilar from combining the Old and New Courses in St. Andrews. 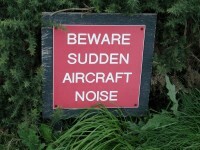 And don’t be scared off by the jets! 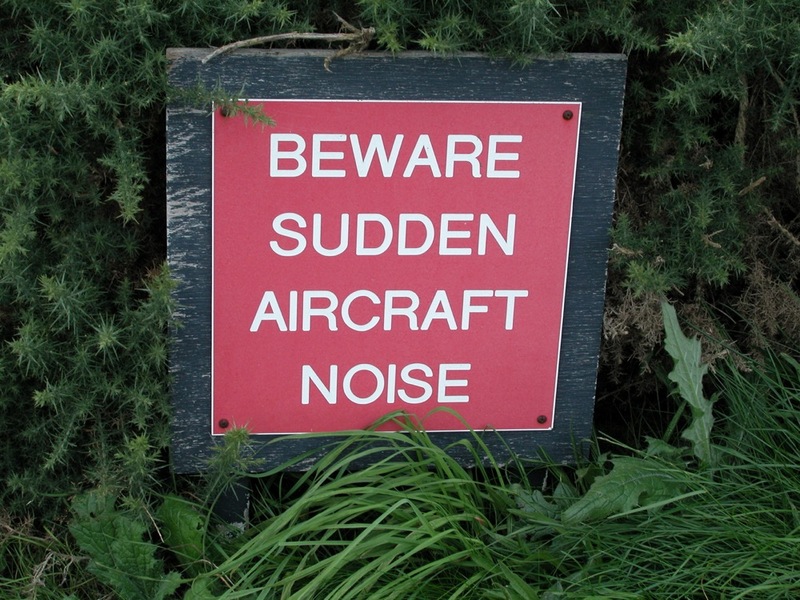 If you are startled easily, or distracted by noise, just come to Moray Golf Club in Scotland on a Sunday, when the RAF rests!